So, Dave got us going on our financial journey. We were living in Texas. I attended a women’s Bible Study that was studying another book by Lary Burkett. (Another great author.) We started talking about Dave Ramsey and I had to check out all of his books. Then, he came to Fort Hood, TX and talked to military families for free. I was hooked. We walked though our baby steps one at a time. If you need a good starter book, Dave is your guy. Whenever I need a good frugal pinch, I reread his book. This is an older book now. It is still one of my favorites. When I start to look too much to the ways everyone else is doing things, I go back to this book. Sometimes you can find this book at the thrift shop. Amy has tips on everything from cooking, to cleaning, to gardening, sewing, thrifting… it is an all inclusive book. There are 3 volumes and then one book that has all of them together. Amy makes you think about how to waste less, recycle more, and do with less all together. If you need a frugal boot camp, you want this book. I remember when I started reading this book. My husband was in Iraq and I had a newborn to take care of. I had always worked a paying job before this time. Living on one income was a foreign concept to me. My stay at home mom friend had this book on her shelf and I loved it. I still have a copy that I read. The whole concept is that you can live on less with some sacrifice. It is all about priorities. This is a great read for stay at home parents or working parents. It has many ways to cut on groceries, utilities, housing, and more. It also has some good recipes that are adaptable for many situations. I really like this book. As an avid couponer, I like that she includes the cheaper prices that you can get with coupons. I like the challenge of a $5.00 dinner. I think it is good to keep in perspective that dinner doesn’t have to look like a recipe from Epicurious. I mean sometimes… a lot of times, you just need to get the meal on the table! I need to go reread this one! This was another one of the first personal finance books I read. This book gets down to the nitty gritty of why millionaires are millionaires. What is their mentality? How do they do daily life? Even if you don’t want to be a millionaire, principles such as live below your means are useful for any day. I’ve found that often the millionaire really does live next door, but his humility does not let him show it. This book is about that humble neighbor and the mentality you need to get out of the debt trap. These books are a great addition to any frugal library! Maybe you can actually order them from your library. My city library has a great program where you can borrow books from the other libraries and return them to your own library. I love it! What frugal books do you like? Do you ever need a frugal kick in the pants? Where do you go for inspiration? Yes they are all great… so many good ones… I will check out your site! 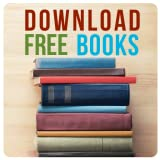 FREE Best Selling Kindle Books- Robin Reads- Daily Free Books Just For You!